Drs. Blincoe & Shutt have made a commitment to all of our patients to assist them in managing their dental expenses. If you would like to enhance your smile we do not want finances to stand in the way. In the interest of better understanding, we believe financial arrangements must be completely understood and agreed upon before definitive treatment is begun. Your treatment will be explained to you and you will be given an estimate of fees. Payment for Dental treatment can be handheld in one of several different ways. One half in advance – balance in three equal monthly payments. Unless financing is arranged at consultation, we will expect payment in full at time of services are rendered. We are also offering the ability to pay your balance online. We are offering this service through the Pay Patient Center. To utilize this service, click here to go to the Pay Patient Center web site. When you are asked for our office code, please enter MRW3U3. Many people now have some form of dental insurance. We will be happy to file any forms necessary to help you obtain maximum reimbursement from your insurance company. Please provide us with your completed forms; however, a few points must be fully understood. Your insurance contract has been negotiated for you and your carrier, it in no way involves this office. Your insurance company may base its allowances on a fee scale which may or may not coincide with our office fees; moreover, almost every dental plan has a provision for limiting funds expended for services, and reimbursements are rarely 100%. Many insurance carriers require a “pre authorization of treatment”. If your company does so, we will be happy to submit your treatment plan for prior approval; a process which sometimes requires several weeks for your insurance company to complete. In some instances it may be possible to determine beforehand what your benefits will be, in other instance it will not. Please understand, however, that even though we will handle the paperwork for you, we are not responsible for the structuring of your plan. This is a predetermined situation agreed upon by you and the insurance carrier; therefore, if you have any questions in regard to dollar disbursement, or what your plan will consider a covered charge, you must refer these questions to your insurance carrier. If your insurance company has not paid within the 30 days from the date your form is filed, it will be your responsibility to pay the balance. 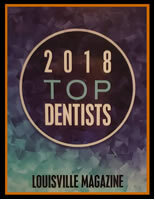 Thank you again for selecting us and if at any time you have questions regarding any treatment, fee, or service, please discuss them with us promptly and frankly. We will make very effort to avoid a misunderstanding and to preserve a friendship. Give us a call at (502) 895-2210 or e-mail us at blinshut@bellsouth.net if you have any questions.